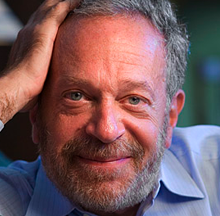 LotusOpening News |: Robert Reich is Correct that the World is Moving Toward Tribalism, but He Should Support the Process! Robert Reich is Correct that the World is Moving Toward Tribalism, but He Should Support the Process! Robert Reich is correct, and his words are prophetic for reasons that he may not expect. The concern that he and others might be feeling by what he calls a "reversion to tribalism," is actually the first stirrings of a repositioning of humanity away from the rigidity and artificiality of the classic nation-state model, toward a future, infinitely diverse, global civilization no longer defined by political or national boundaries. His intuitive words presage both an extraordinary and a tumultuous transformation ahead for our entire world community, and they outline an inevitable global and intergalactic community coming, very different than what we currently have, where diversity will be enjoyed, cherished and encouraged; because we will have already discovered that the free expression of our diversity is a fundamental key to attaining a peaceful and highly prosperous world system. In our future, there will be very little racism and other forms of prejudice. There will be practically limitless free energy, abundant resources, and a completely different kind of economy that serves genuine freedom, prosperity, happiness for all beings. There will be no Democratic or Republican parties for sure. Materialistic and disgraceful religion brands like today's form of "Christianity," will have been mostly replaced by a plethora of new enlightened tribal belief systems more connected to the local populations; by Gaia-centered neo-pagan religious systems, or a by a universally popular, human spirituality, that taps into the Infinite Spirit and synchronizes with a vast new science that has been reborn from its previous materialistic blindness. National borders will no longer exist, because our higher loyalty will be to our extraordinary planetary collective, unified with the living Planet Earth and all life forms - not to any artificial boundaries! I leave you all, with the compelling message below, definitely worth listening to - a perspective whose embrace by the entire world is badly needed - that emerged from the universal spiritual teachings of a mid-19th Century Iranian holy man known as Baha'u'llah (The Glory of God). We’re witnessing a reversion to tribalism around the world, away from nation states. As technology instantly connects everyone and everything, people are reverting to more personal connections -- religious beliefs, language, the extensions of one’s family and its values. The Soviet Union has been replaced by nations split along tribal lines (Putin can’t easily annex the whole of Ukraine, only the Russian-speaking part). The Balkans have been Balkanized. The Scots want to separate from England; the Kurds, from Syria and Iraq. Sunni and Shia are warring across the Middle East. Even American politics reflects a new tribalism, with one tribe (calling themselves liberals, progressives, or Democrats) holding sharply different views and values from the other (conservatives, Tea Partiers, Republicans). Each tribe has own demons (the Tea Party and Ted Cruz; the Affordable Care Act and Barack Obama); its own version of truth (one believes in climate change and evolution; the other doesn’t); its own moral codes (over gay marriage, abortion, guns, and the separation of church and state); and its own media that confirm its beliefs. The tribes even look different: One is becoming blacker, browner, and more feminine; the other, whiter, and more male-dominated. Increasingly, the two tribes live in their own regions –coastal or inland, north or south, urban or rural – with their state or local governments reflecting their contrasting values. This isn’t a claim of moral equivalence. Personally, I think the Republican right has gone off the deep end. But the fact is, the two tribes are pulling America apart. Should we separate?